Well friends, here we are in a brand new year and I’ve been spending a little time thinking about my hopes and dreams for 2018, the things that make me happy, and how I’m going to own positivity! At the beginning of every January I have my own personal ritual, not so much about listing resolutions and rules to try to live by, but something a little different. It’s more about visualizing the exciting things that could come to pass. I’m going to create a mood board, choosing images that match everything I personally hope to become and all the dreams I have for my beauty brand. I’m thinking a lot about travel at the moment, both close to home and abroad, there are lots of plans in the works for me to get out and about this year so I can spend time with you. I’ll let you know where and when soon! To get started and put myself in the right frame of mind, I think about my symbols – ‘Cactus’ which represents strength, ‘Moon’ which reminds me to be brave, ‘World’ which is about being more adventurous, and finally ‘Sunflower’ my ultimate symbol of positivity! As some of you already know, the sunflower is special to me, it’s my favorite flower because I love the cheery bright yellow petals and the way the heads stretch towards the sun reaching incredible heights. I can’t help feeling uplifted and happy whenever I see one! My optimistic sunflower symbol has a number of positive quotes I associate with it, which you can find in the Inspire Library. Three I love are - ‘Be the best version of you’, Be someone who makes YOU happy’ and ‘Believe in yourself!’ - simple but powerful stuff! Then, once I’m feeling positive, creative and energized, I will spend some time choosing just the right images and bring them together. To me it’s much more fun than making a list, and the final mood board will infuse me with tons of get-up-and-go. It’s also something I can return to any time in the year when I need a jolt of inspiration and a happy, positive boost. 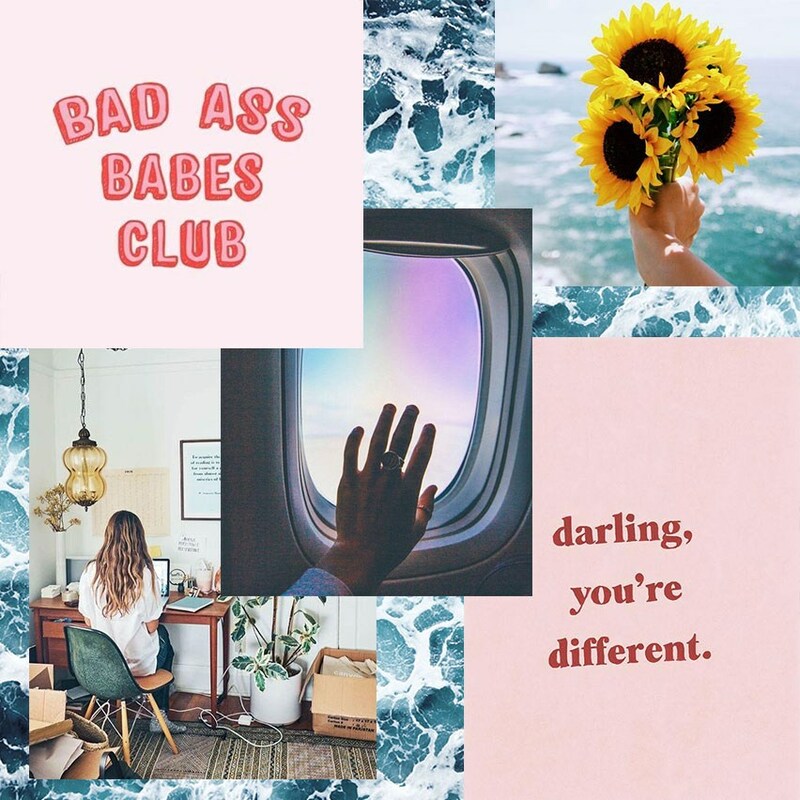 Here are a few of my images that I hope might inspire you to visualize what positive and happy means to you, after all - darling, you’re different!